Came across an older box at an antique store. Anyone know anything about this....box says product of Samsonite Corporation. 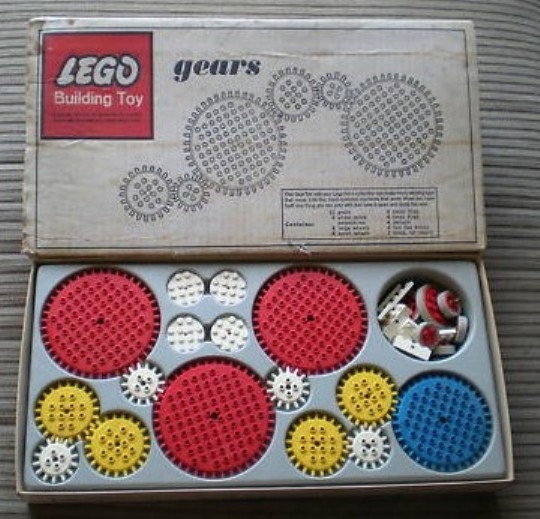 A LEGO building toy 001 Gears. I am new to this forum. ^ This set is actually pretty common in the U.S.. There are at least 5 for sale on EBay right now although they are almost never complete. Some of the info from that video is wrong, The set is from 1965, not 1963. 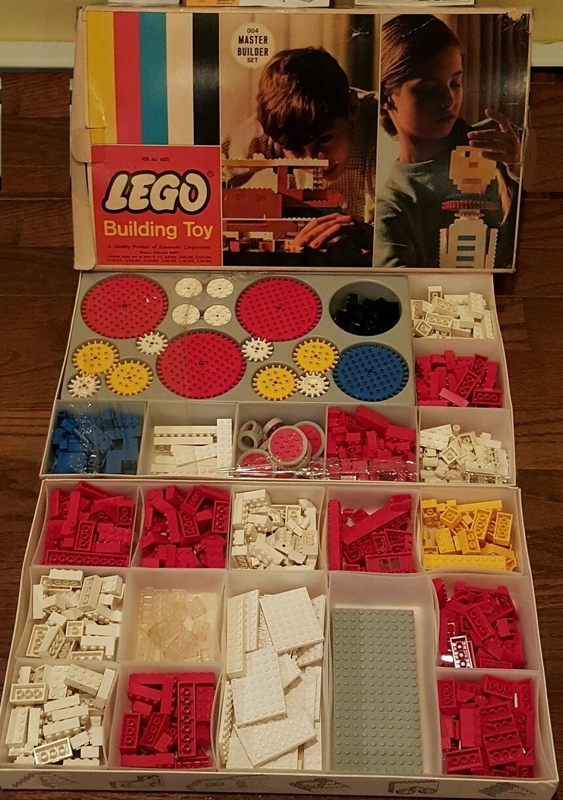 For a sets from 50 years ago, it's pretty common. I've got 5 or 6 of these. 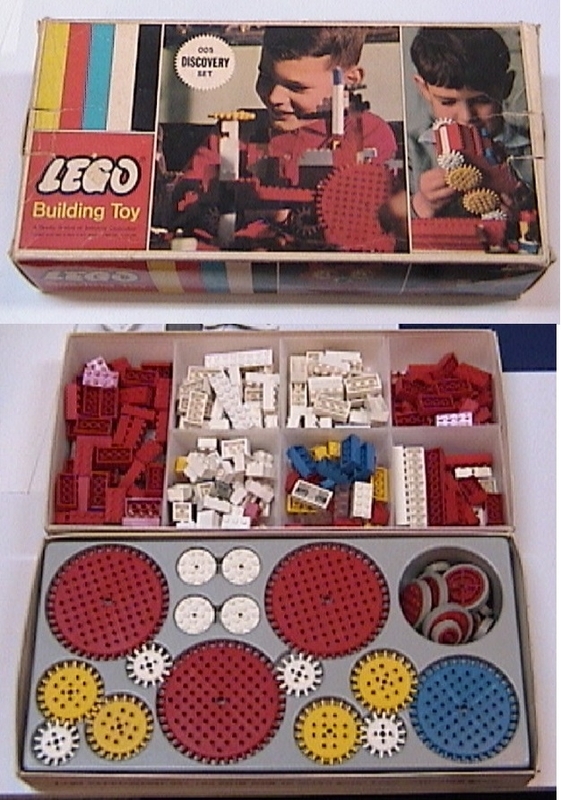 Yes this Samsonite LEGO set was produced starting in the fall of 1965, and was discontinued in 1970 in the USA, and 1973 in Canada. Even though it was a Samsonite set, it was designed by TLG in Denmark. 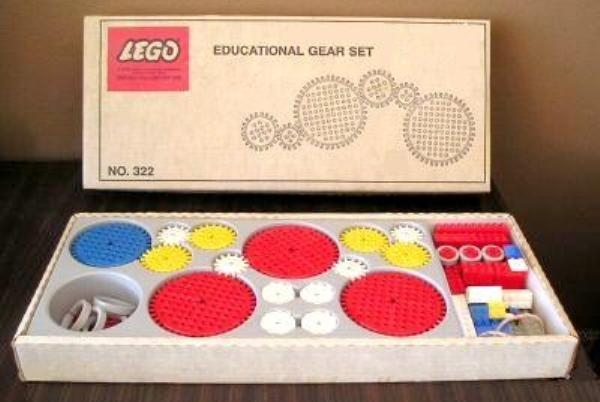 Here's some images from my Unofficial LEGO Sets/Parts Collectors Guide (computer desktop download)... the chapter on LEGO gears and motors... and also all the different sets that had this gear insert/parts... each set had the identical gray insert... but many sets had extra inserts in the same tray, or in a 2nd stacked tray. 7) 003 Master Mechanic Set (with gears + inlay) and Samsonite motor/battery box. 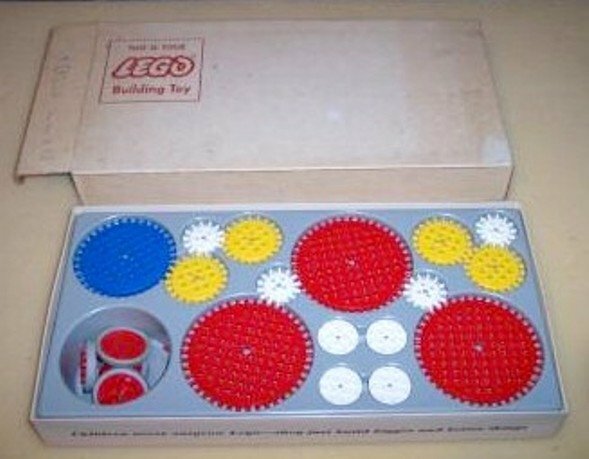 8) 004 Master Builder Set (with gears + inlay) and building bricks. 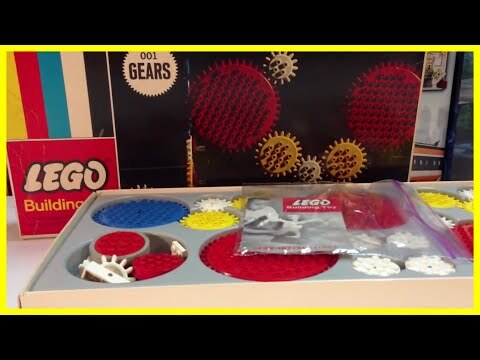 9) 005 Discovery Set (gears + insert), an FAO Schwarz exclusive USA set. 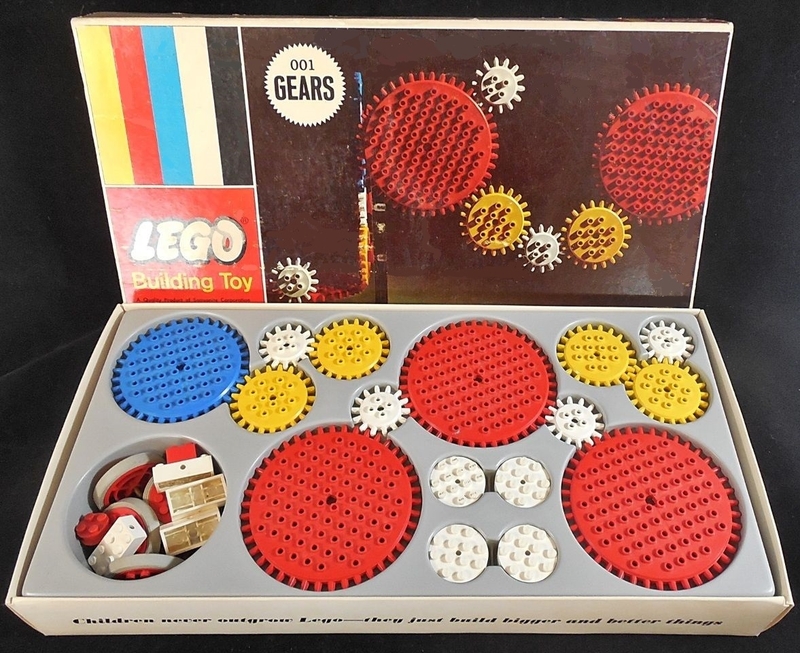 10) Master Discovery Set (gears + insert), an FAO Schwarz exclusive USA set (similar to 004 Master Builder Set, but with extra parts). This last 704 set (FAO Schwarz only was produced to use up all the left over Town Plan accessories in the USA (such as the Esso signs and gas pumps).... which is why this set was very shortlived. 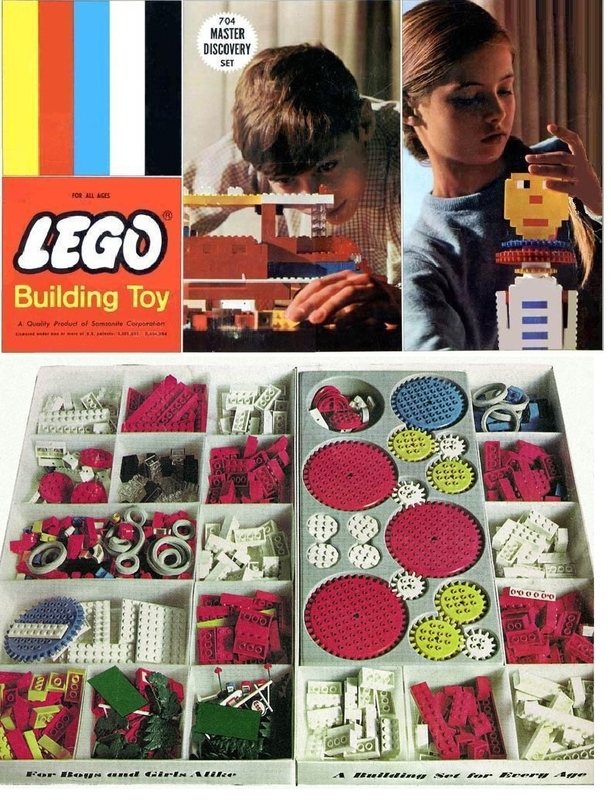 In the image above... (from a USA LEGO ad) some of he parts were already discontinued, and the green panels were supposed to hide the already discontinued (from remaining inventory) parts. So yes... the USA/Canada Samsonite gears are very commonly found in both countries... and not just from the 001 Gear Set! 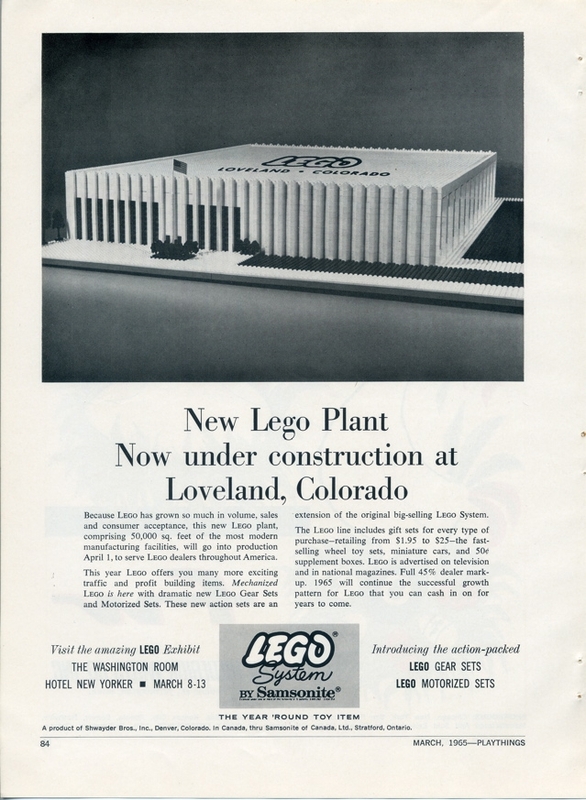 Lots of Samsonite LEGO sets had them! ^ Nice info as usual @Istokg ! 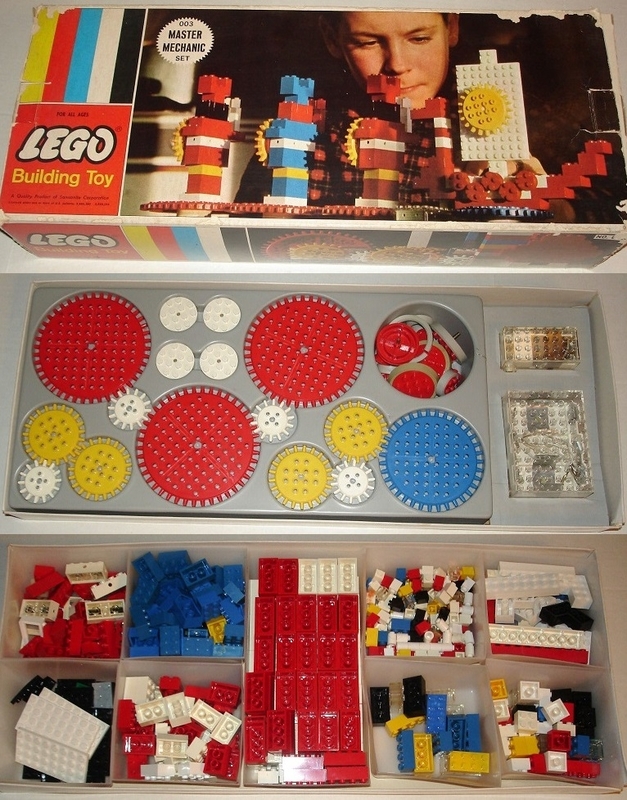 Question for you, are the green 50 x 50 baseplates from the 60's/70's really hard to come by? Todd, yes they are quite scarce to come by... they were made in either gray or green under the 079 number. 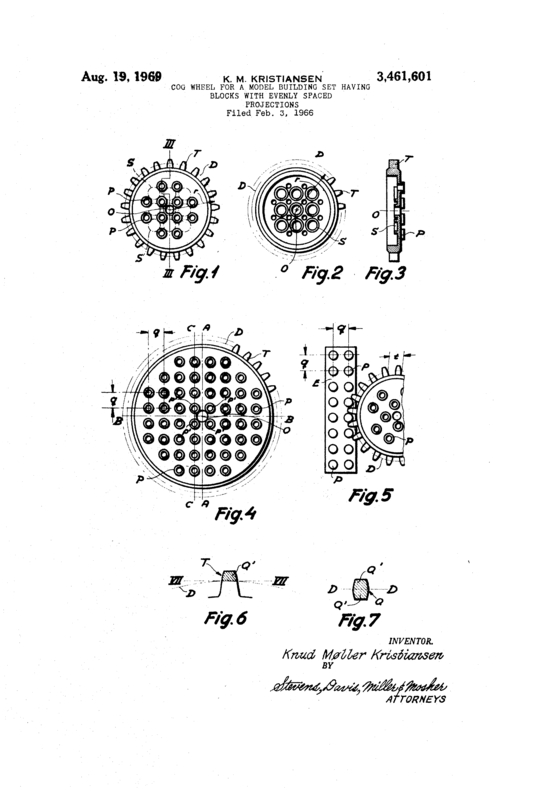 The gray 50x50 baseplate was sold under different numbers in different locations around the world (799 in Europe/Australia, 049 in Canada, or 1083 in a DACTA set, all in cellophane wrap. Since the green 079 was only sold in the 50x50 size only in the USA, it would be identifiable even without the wrapping, unlike the gray version, which could have come from several sources. The 079 was introduced (contrary to BL) in 1968 or 1969 in the USA. From 1966-68 the 799 cellophane pack as sold in Europe, was also sold in the USA... but only in the standard gray. Why the number change to 079 is a mystery. 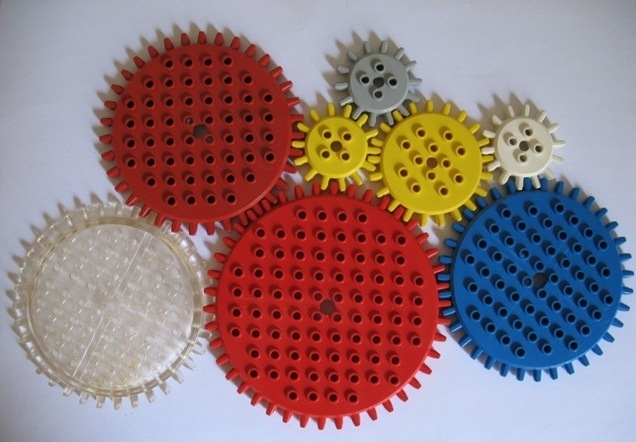 Along with the 4 regular Samsonite LEGO gears (very large red, large blue, medium yellow and small white) there are other Samsonite LEGO gears that were never put into production.... such as large dark red, large, trans-clear, small yellow and gray. One family member of a former Colorado Samsonite employee even found small red gears.